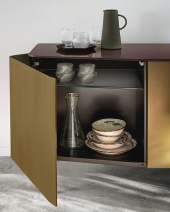 Beautiful doors in curved etched glass and back-painted with special colors effect. 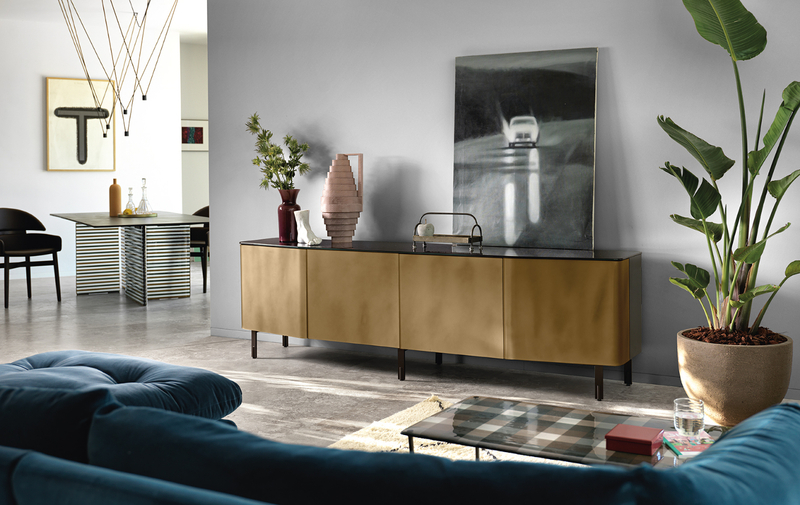 Plana is the sideboard presented for the first time at the Salone del Mobile in Milan 2018, it is proposed as Plana three-door sideboard or four-door sideboard. 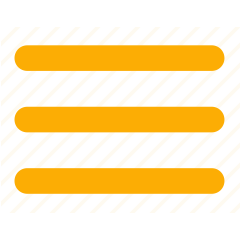 Plana is the high class furnishing accessory, it has a unique modernity despite having a classic but functional line. 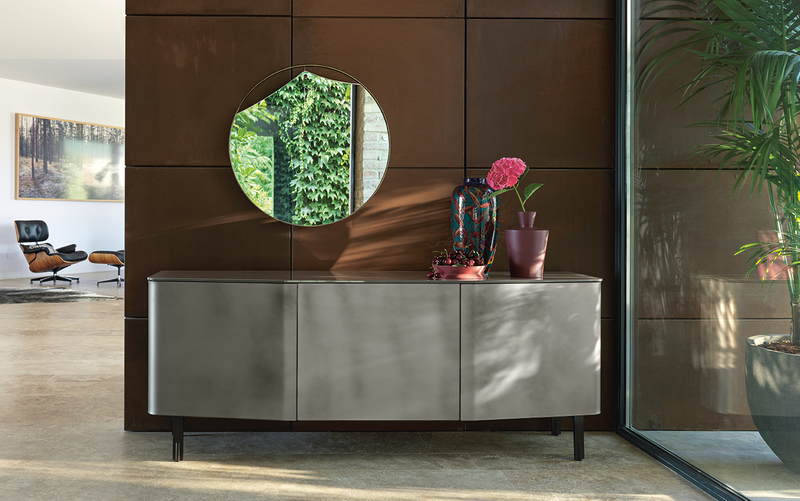 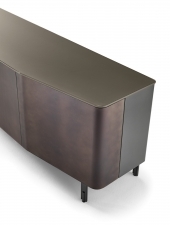 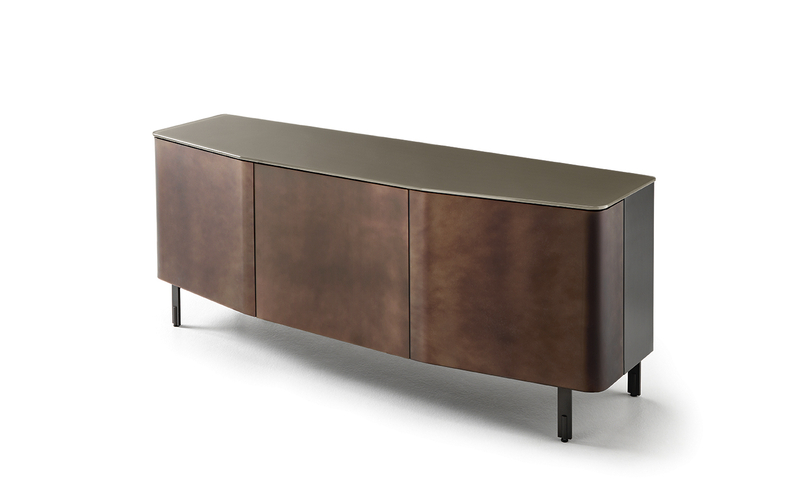 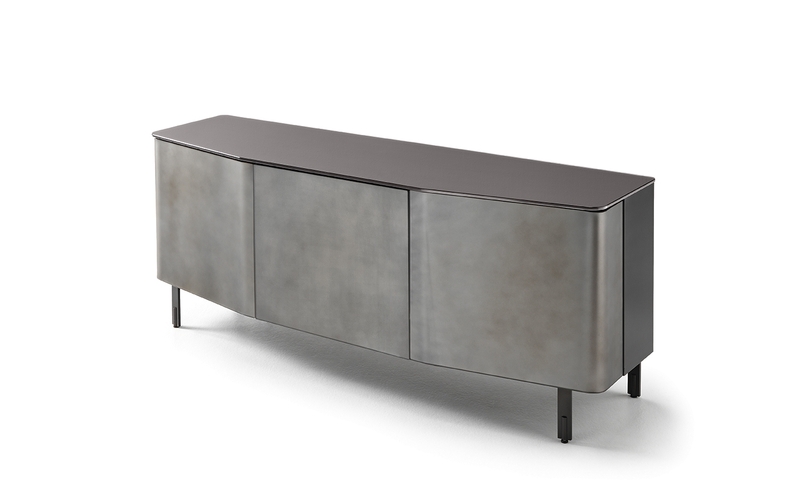 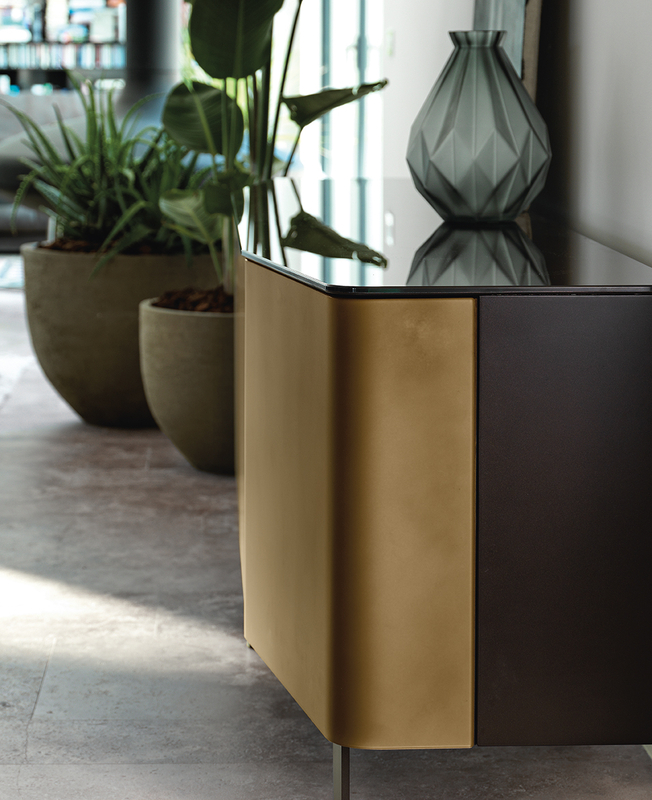 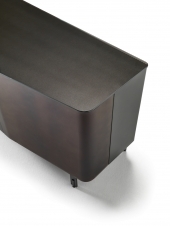 Plana is the sideboard by Fiam, the great Made in Italy. 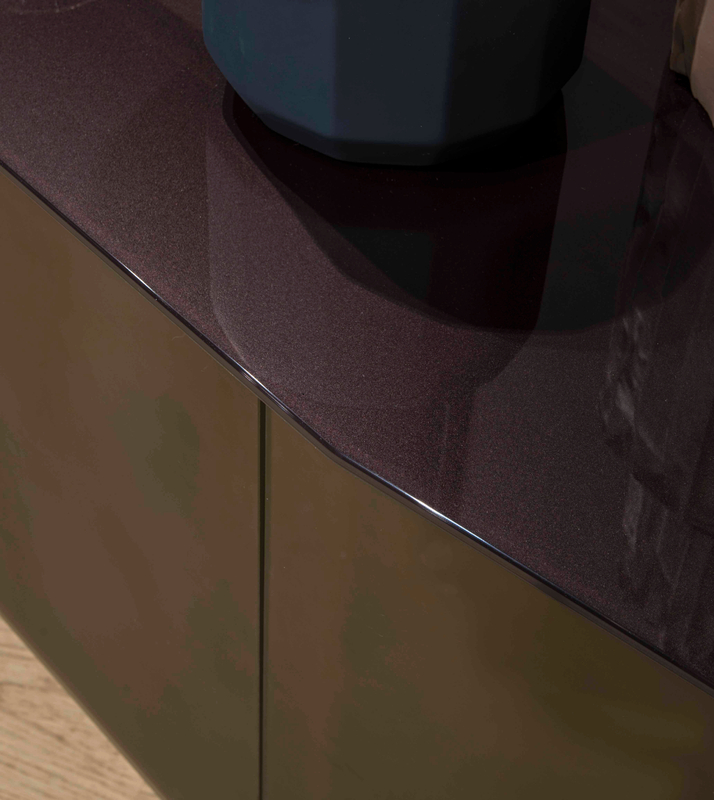 Etched and back-painted extralight glass "material effect"